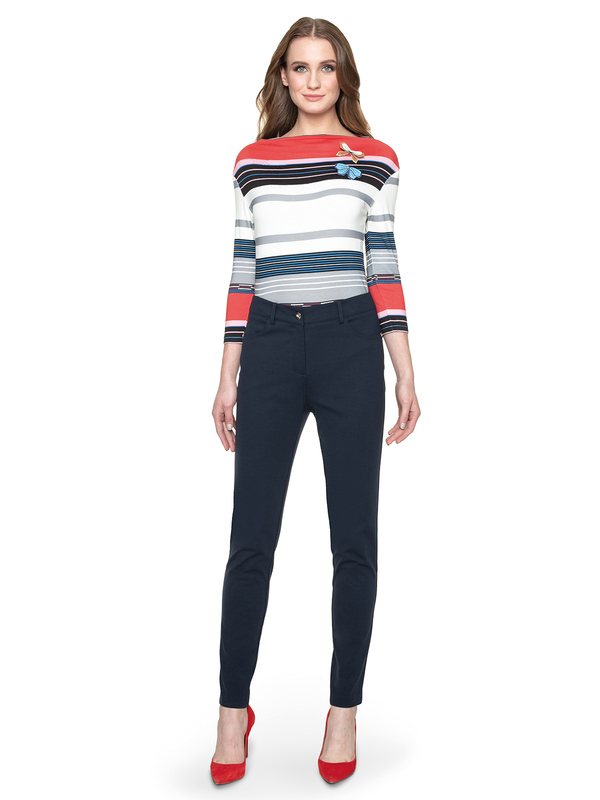 Impressive striped blouse Fiona is the answer of Potis & Verso brand to the trend of stripes on the world’s catwalks. Fiona is a blouse in striped patterns, maintained in red, pink, white, grey, black and blue, with sleeves ¾ long. The blouse has a cut close to the body and a boat, quite a built-in neckline. It emphasizes the figure, is elegant, but also useful in everyday styles. 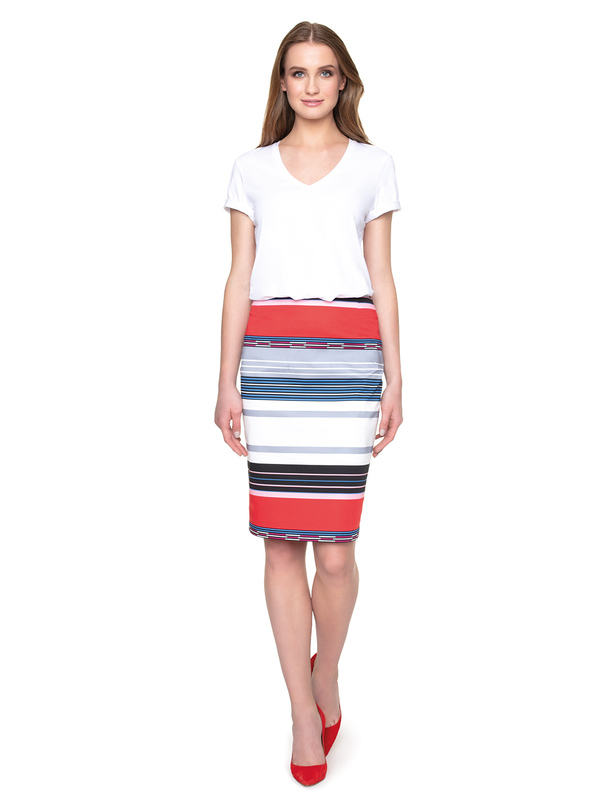 Fiona will be the right base for a casual outfit with tight jeans or wide linen trousers. In the office version, the blouse will work well in combination with a pencil skirt or elegant trousers pressed at the edge. Combine Fiona with high-heeled shoes e.g. in red.